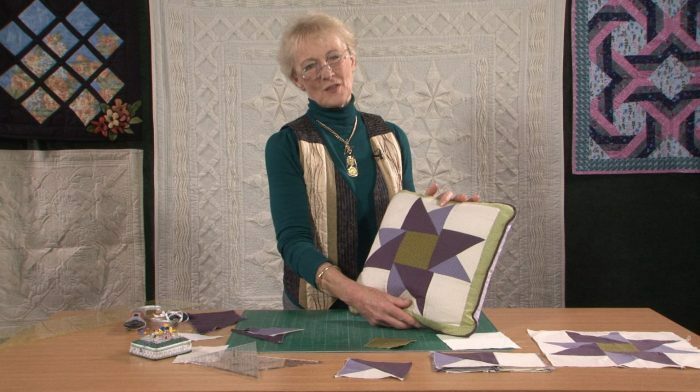 A traditional block that would work brilliantly in any colourway; instructions for a single block from Jennie but you could make lots. 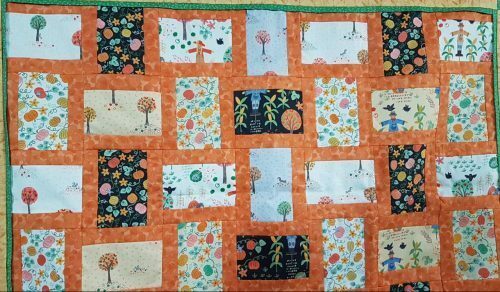 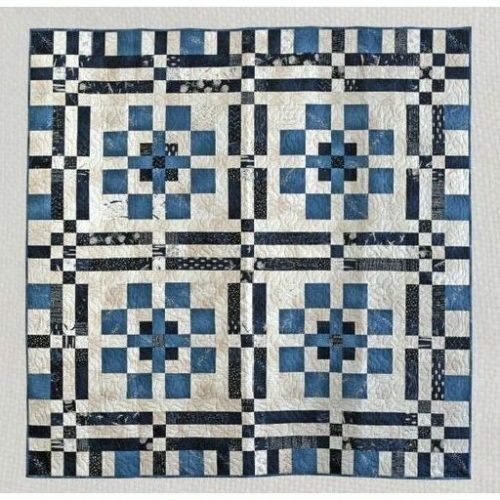 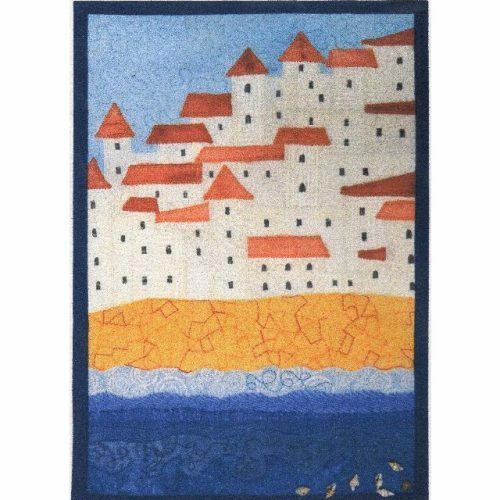 This traditional windmill star block uses the partial seam technique to give it that twisted look but otherwise it has very traditional half square and quarter-square triangles, plus rectangles and a square so how difficult can it be! 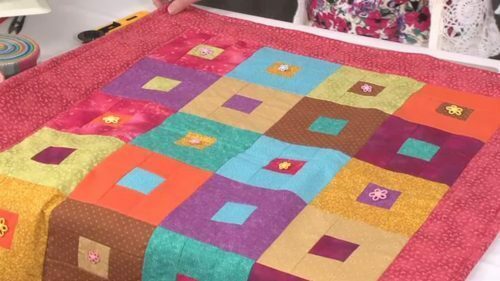 Jennie guides you through the cutting sequence; you will also be cutting out with 7/8th of an inch – but don’t worry as the rulers do the work for you. 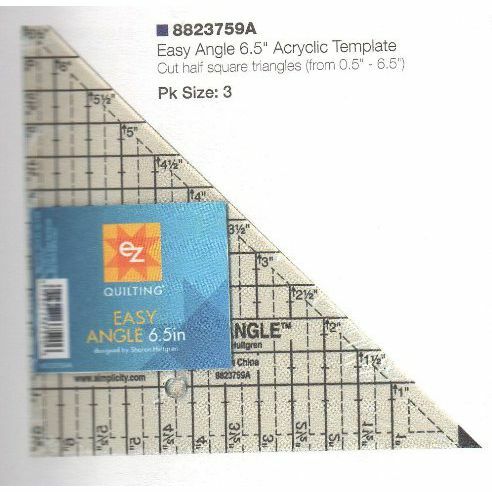 And on that subject the E-Z Angle ruler creates very accurate half-square triangles from the easy-to-cut strips without that additional 3/8th. 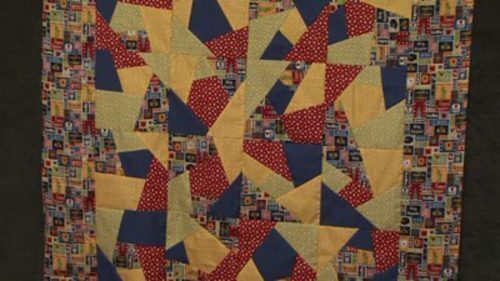 And the companion angle ruler does the same job for you from a strip of fabric for the quarter-square triangles. 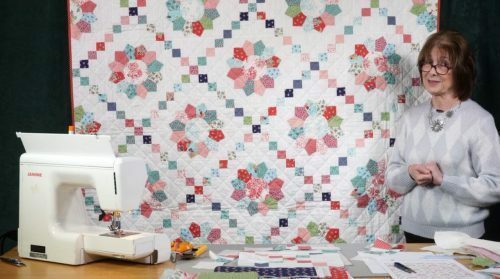 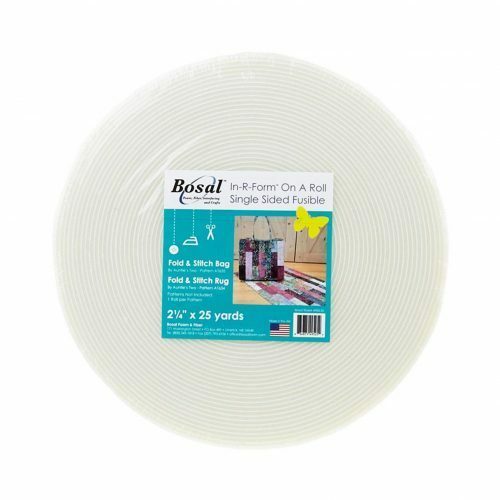 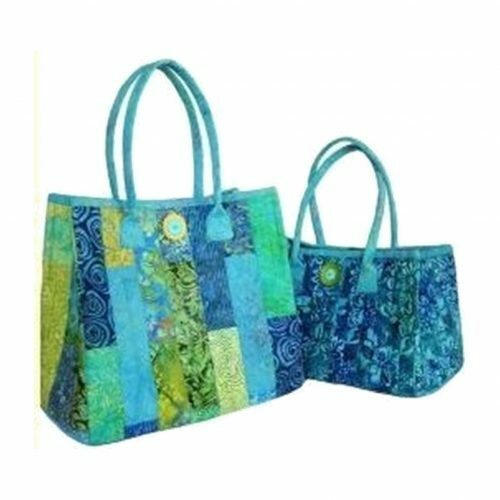 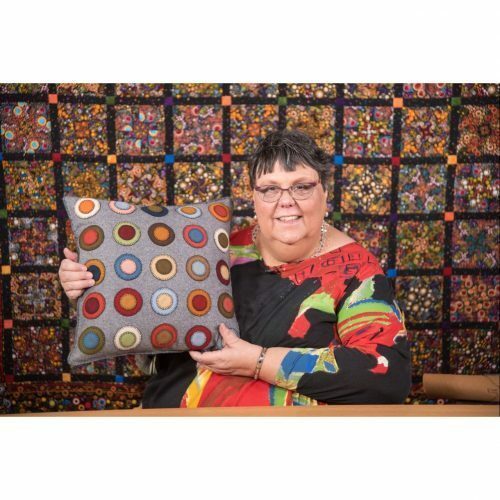 You get to learn about the warp and weft of the fabrics which we use to our advantage in those triangles, so as to avoid wobbly bias edges on the outside of the block, and then of course the sewing – which does need to be done with a 1/4” seam allowance. Jennie also gives helpful tips on the pressing of the block. 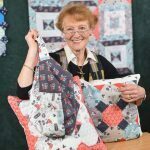 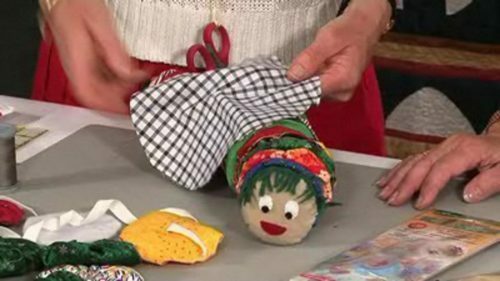 To make sure that the seam you are sewing is accurate (and it’s about what you achieve and not what you sew) check out Valerie’s workshop.